Step off the plane in China and there is no doubt about what day it is – Singles’ Day. It’s hard to escape the sale buzz – billboards, the airport arrival hall, malls, hotel elevators – the advertisements are everywhere. And the numbers are astounding: more than 140,000 brands offering 15 million product listings to hundreds of millions of consumers. The annual sales event dwarfs its Black Friday or Cyber Monday equivalents in the United States. Last night, e-commerce giant Alibaba lived up to the hype. Oscars producer David Hill was responsible for the gala event that counted down to the start of the shopping extravaganza. Held at Shanghai’s Mercedes-Benz stadium, the event was broadcast on three TV channels and featured American rapper Pharrell Williams, British singer-songwriter Jessie J and former world number one tennis superstar Maria Sharapova – plus 100 or so other celebrities. “If you analyse why we are doing the show, it’s to turn shopping into sport and to make shopping into entertainment, so the show has got to reflect that philosophy. 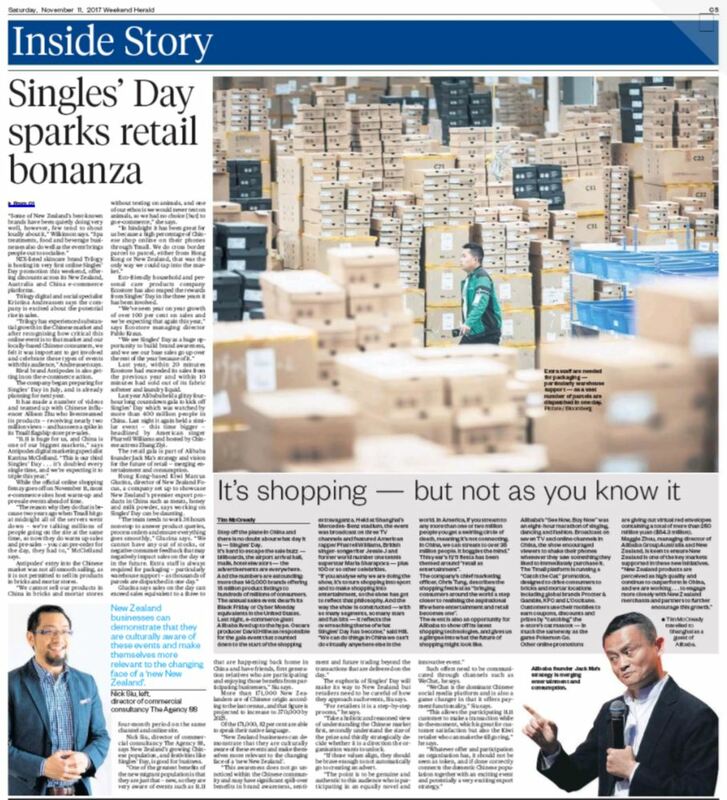 And the way the show is constructed – with so many segments, so many stars and fun bits – it reflects the overreaching theme of what Singles’ Day has become,” said Hill. This year’s 11/11 fiesta has been themed around “retail as entertainment”. The company’s chief marketing officer, Chris Tung, describes the shopping festival as “bringing consumers around the world a step closer to realising the aspirational life where entertainment and retail becomes one”. The event is also an opportunity for Alibaba to show off its latest shopping technologies, and gives us a glimpse into what the future of shopping might look like. Alibaba’s “See Now, Buy Now” was an eight-hour marathon of singing, dancing and fashion. Broadcast on seven TV and online channels in China, the show encouraged viewers to shake their phones whenever they saw something they liked to immediately purchase it. The Tmall platform is running a “Catch the Cat” promotion, designed to drive consumers to bricks and mortar locations including global brands Procter & Gamble, KFC and L’Occitane. Customers use their mobiles to earn coupons, discounts and prizes by “catching” the e-store’s cat mascot – in much the same way as the game Pokemon Go. Other online promotions are giving out virtual red envelopes containing a total of more than 250 million yuan ($54.3 million). Maggie Zhou, managing director of Alibaba Group Australia and New Zealand, is keen to ensure New Zealand is one of the key markets supported in these new initiatives. Tim McCready travelled to Shanghai as a guest of Alibaba.